When hosting a cocktail party, your snacks and hors d'oeuvres make just as much of an impact as the drinks. To ensure your guests' delight, check out the below pistachio-inspired craft cocktails from the best mixologists around the world. Each pairs well with our favorite green nut. 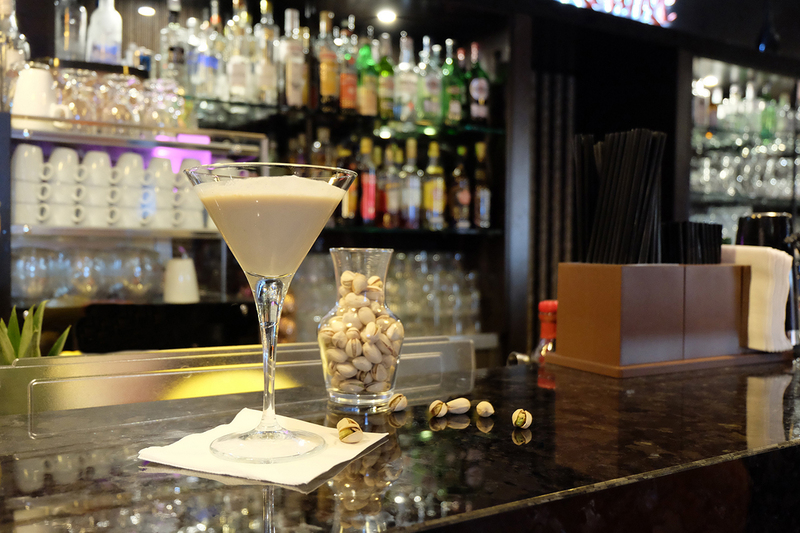 Cocktails and pistachios … what more could you ask for? Concocted by Charleston, South Carolina, mixologist Ryan Casey, the driving flavors of this drink are "ginger, lime and bitter orange. All have a hint of sweetness but are balanced by spice or acid. The other great benefit of a drink finishing with acid is that, like wine, it causes your mouth to water, which makes us want to eat. And that's when the pistachio becomes the star!" 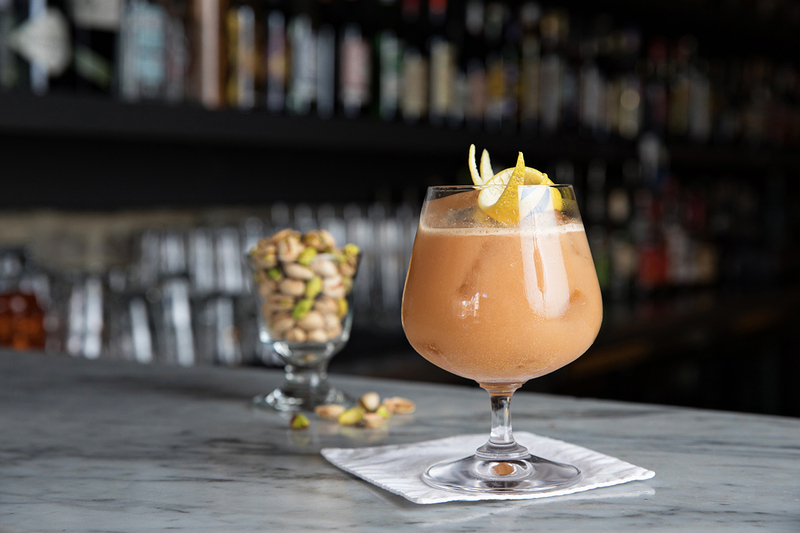 Dirk Willmer of Heiligenhafen, Germany, created this nutty drink and says, "Pistachios give the drink a very special nutty note and expand the drink with a crisp component, since I have grated them on top." 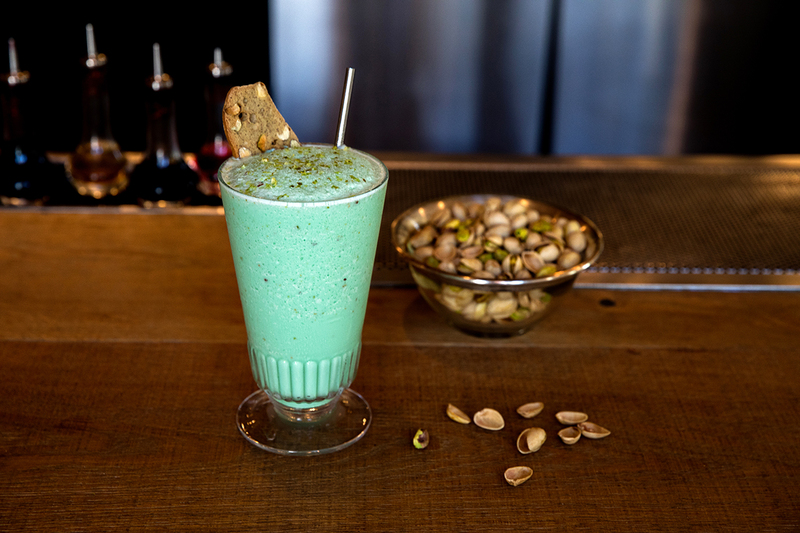 Created by Brad Goocher of Charleston, South Carolina, "The Pistachio Grasshopper is a play on the classic Grasshopper, a proven trifecta of crème de menthe, crème de cacao and heavy cream. Our blended variation incorporates pistachio ice cream and a pinch of sea salt to offset any sweetness and bring out the delicious savory qualities innate to pistachios." As the Best Bartender in Spain 2017, Ángel Arruñada declares, "The American Shell is a complex and refreshing cocktail. 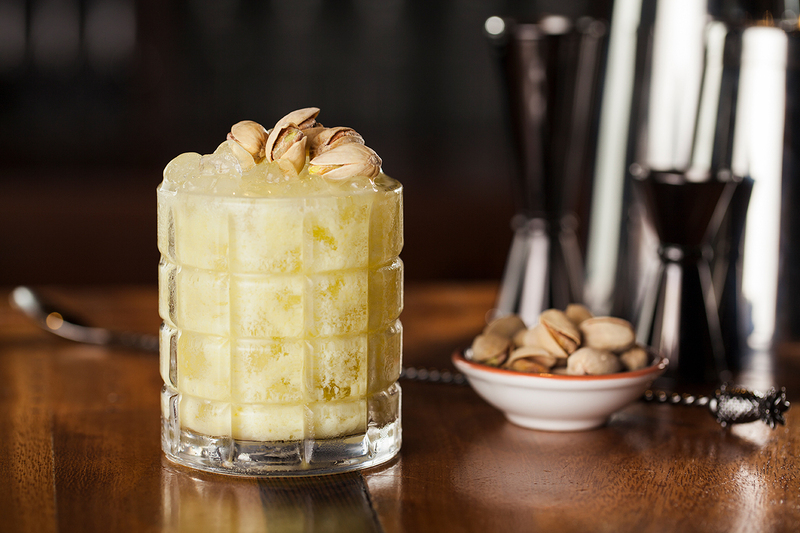 The pistachio orgeat is the maximum expression of pistachio in a liquid state which, together with Johnnie Walker and a pinch of salt, allows us to feel how the whiskey and salt unite in a unique taste. Certainly, a great selection for any time of the day and especially at Christmas." 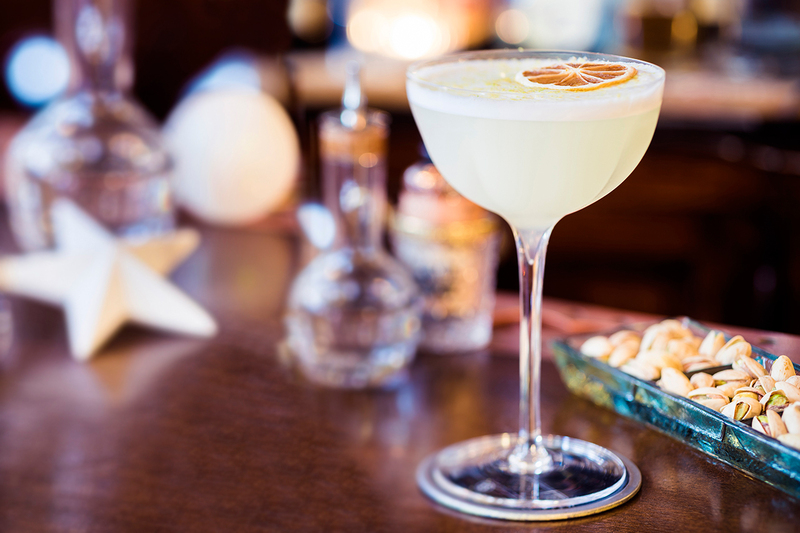 Alexander Pilz of Hamburg, Germany, describes the delightful senses sparked by this cocktail: "The combination of the salty pistachio, the aromatic thyme and the sweetness gives this drink something quite special. This drink should be enjoyed slowly, so you can feel the nutty-roasted aroma and on the other side, the acid-sweet basic character." 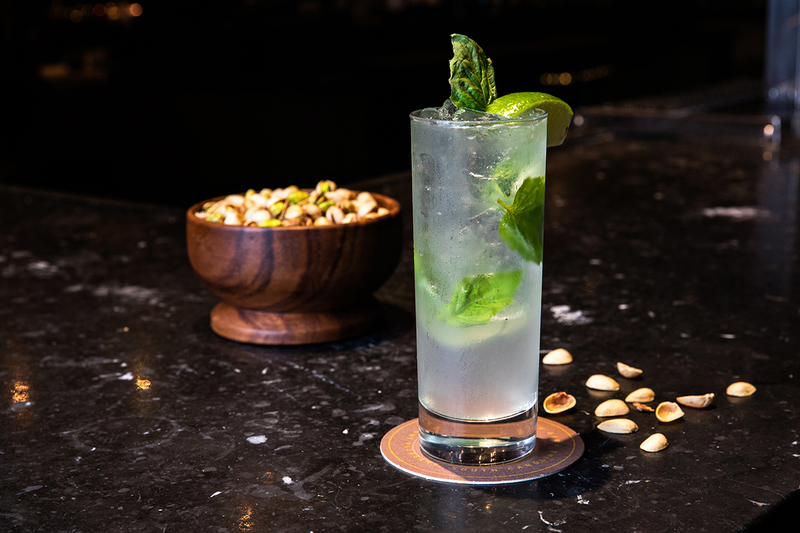 Mixologist James Hinchey of Mount Pleasant, South Carolina, states, "The Far East of Jalisco is a variation of a mojito that combines cardamom and basil, which both pair well with pistachios. This cocktail is simple, light and refreshing." 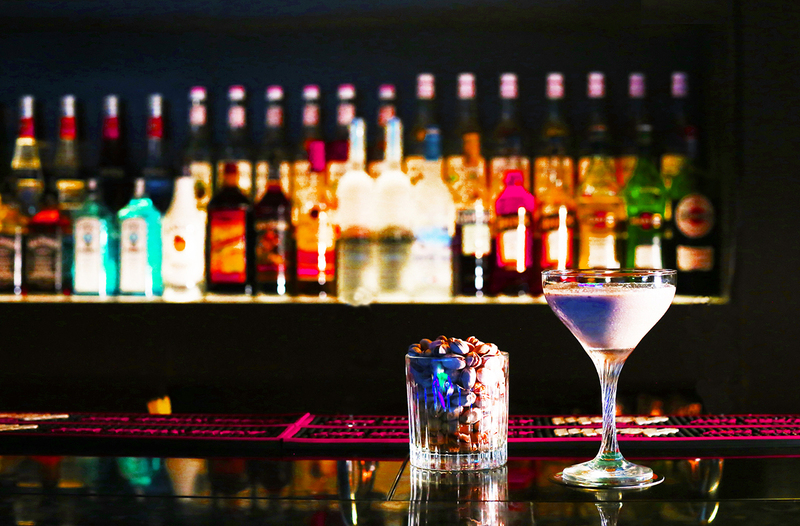 An internationally renowned barman, Spanish mixologist Filippo Sisti explains his approach in his version of this popular drink. 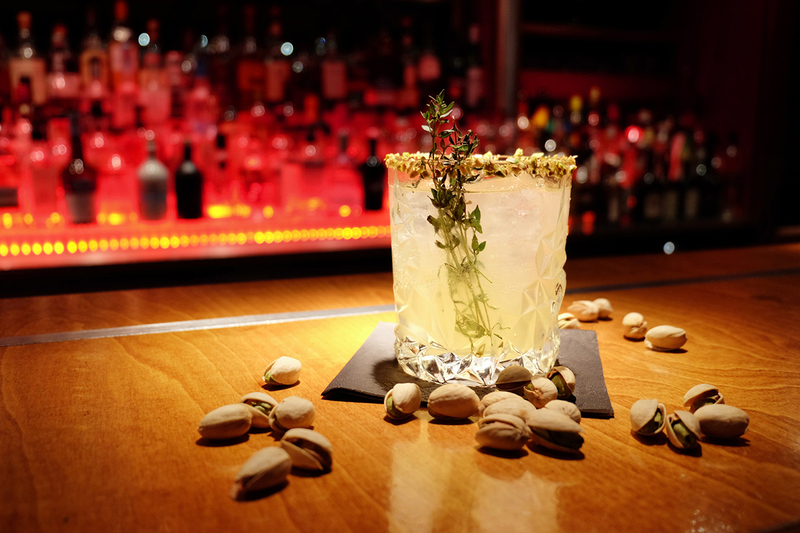 "The pistachios used for the Christmas Mule are perfect to make a good syrup. Additionally, from the point of view of flavor, they combine perfectly with panettone, giving creaminess and the right consistency to the cocktail." 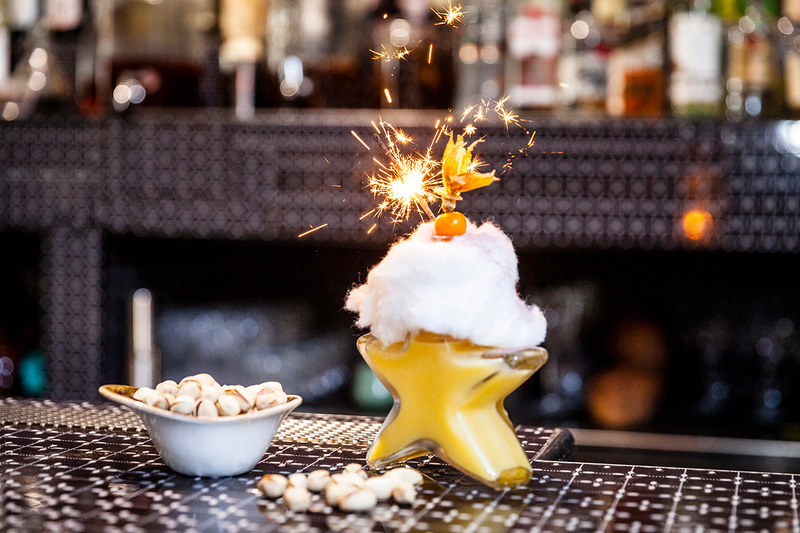 In the city of Paris resides the World's Best Bartender 2016, Jennifer Le Nechet. "For this cocktail, I decided to combine botanical, citrusy gin with floral elderflower liqueur. There is a good amount of orange blossom water to soften the cocktail and give it a pastry quality. An egg white adds texture with a delicate layer of foam on top, where we can grate a little American pistachio to finish." Having honed his bartending skills in Charleston, South Carolina, since he was 19 years old, Brad Cline loves his craft. "For the Boat Drink No. 2, using the pistachio orgeat to round out this well-balanced tiki-style cocktail was an easy choice as it gives a deliciously rich and creamy texture to the cocktail along with an elegant nuanced nuttiness." 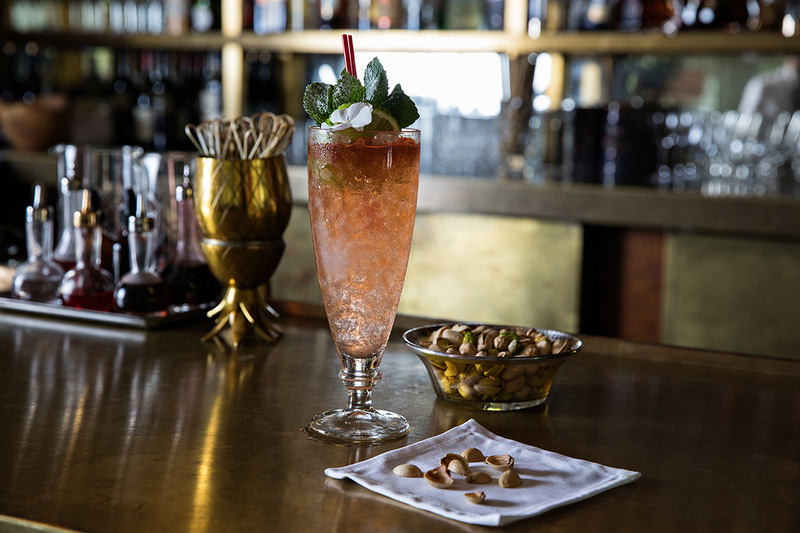 With a love of Shanghai's rich bar culture, Chinese mixologist Steven Yang's pistachio-inspired cocktail "is blended with pistachios so it offers a rich and layered taste. When I think of Shanghai, I always imagine someone enjoying the beautiful night view with a cocktail glass in hand. This drink is sweet, which adds more colors to the view and the mood." Find more information at AmericanPistachios.org, at Facebook/AmericanPistachios or on Twitter, @PistachioPower.